– Every day during French National School Holidays for the 3 zones… with the exception of the February and Easter school holidays, where visits will take place every day but only during the February and Easter school holidays in zone B, from 9th to 24th february and from 6th to 22 april 2019 (closed on the 19th february and 19th april). Each tour will be led by a guide. Please note that the Monastery in 2019 will be closed on : 19/02- 19/04 – 05 & 18/05- 02 & 16/07 – 01, 15 & 30/08 – 14 & 28/09 – 13 & 28/10 – 26/12/2019. 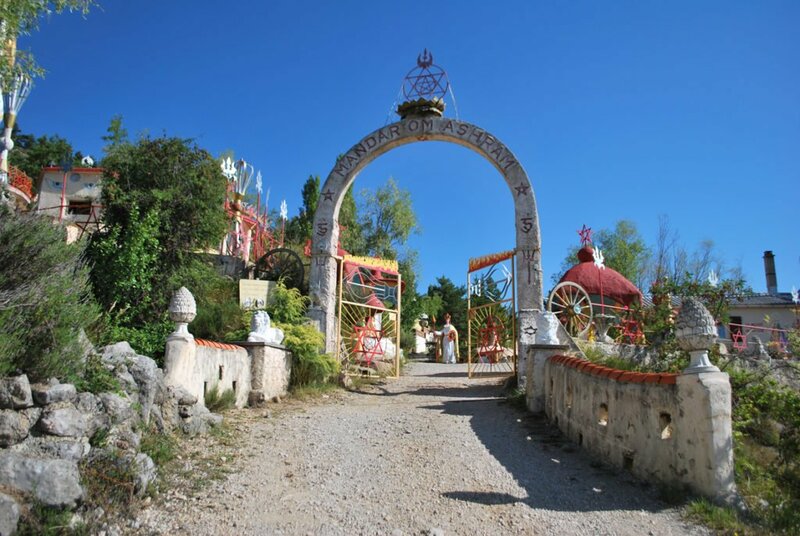 We offer an extensive visit of the Monastery of Mandarom Shambhasalem during the “Days of Spiritual Encounter,” so you can take part in a guided tour of the Monastery, share a vegetarian meal with the monks and nuns, and do a meditation. These days are an opportunity for you to catch a glimpse of life in the Monastery, from the inside. 27/1 – 24/2 – 31/3 – 28/4 – 26/5 – 30/6 – 28/7 – 25/8 – 29/9 – 27/10 – 24/11 – 29/12. Register by phone at 04 92 83 63 83 no later than the week before your arrival. If unable or withdrawal, thank you to inform us as we prepare meals for the participants !